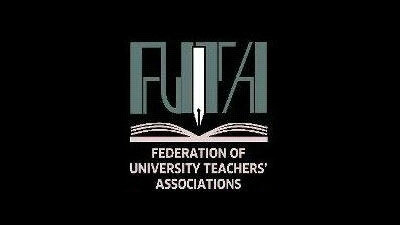 The Federation of University Teachers' Association (FUTA) yesterday criticised the move to offer presidential scholarships through the Presidential Secretariat for those who register with Sri Lanka Technological Campus (SLTC) affiliated to Sri Lanka Telecom. In a media statement signed by FUTA President Dr. Rangika Halwatura and Secretary Dr. Shyama Banneheka, the FUTA said SLTC has not yet met all the criteria recommended by the University Grants Commission (UGC) to qualify for degree awarding status. "We categorically condemn the undue recognition given to this institute by way of awarding presidential scholarships. We would like to bring to the attention of the government that ad hoc award of degree awarding status and of financial assistance to institutes that do not meet the required standards would not only deceive the student population, but also jeopardise the international recognition achieved by Sri Lankan higher education sector. Hence we emphasise the need to control this situation. We strongly believe that the only solution to this issue is to improve transparency of this process by appointing an independent body/committee under the purview of the UGC to monitor the private higher education institutes," the statement said. Mister you are point is correct but do you know that Peradeniya and Ruhuna Telecommunication degrees are not up to the required standard ?.. You may get the Washington Accord but Foreign reputed organizations don't recognize those degrees well.